The Real Money mode Registration page appears. Complete all the fields required. Create a username and password that is unique only to you. Ensure that the email address you provide is accurate as it is our primary access of communication with you. Click Register Now. The Personal Details page appears. 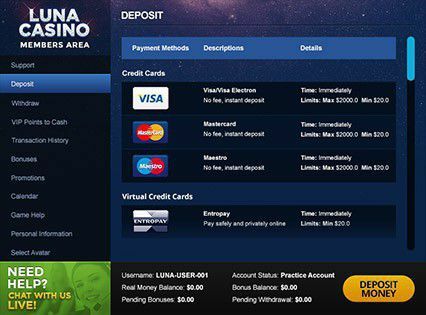 Before you start playing in Real Money mode, you must validate your account. Complete all the required fields. Ensure all fields are entered correctly and with accurate information. Click Submit when you have finished. The Email Validation page appears. Enter your email address in the Email Address field. Make sure you enter an accurate email address and that it is spelled correctly. Click Send Validation Code. A validation code will be sent to the email address you provided immediately. 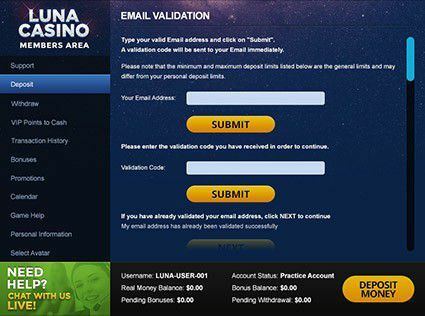 Once you have received your Validation code, click the link provided in the email you have received. You can also copy and paste the Validation Code into the Validation Code field, or type it in. To finish validating your email address, click Submit. The Member Area Home page appears. 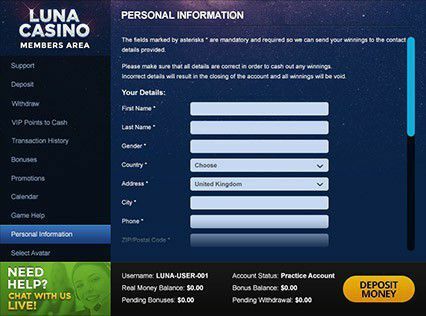 You are now ready to play with Real money.